If it’s good enough for James Bond, then it must be top notch! It’s no wonder that Sunseeker’s luxury motoryachts featured in four consecutive James Bond films. Sunseeker International is Britain’s biggest luxury yachtmaker, located in the English seaside town of Poole, on Britain’s South Coast. They have come a long way since their famous open sporty high-performance yachts, now building yachts that range from 51’7″ / 15.74m to 155′ / 47.24m. 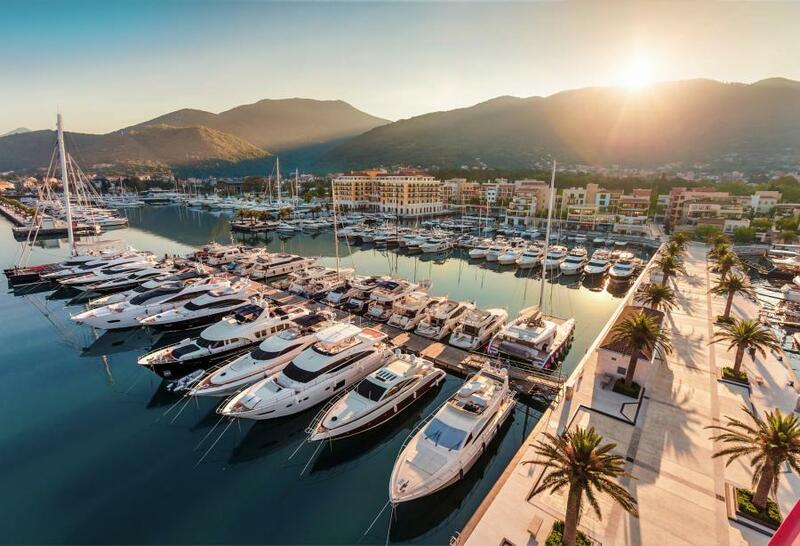 Sunseeker’s acclaimed design and production professionals have earned two International Superyacht Design awards, the Queen’s Award for Export Achievement and the latest, in 2016, the Champion of British Luxury Manufacturing award. In 1969, at a time where there were no significant builders of boats for sports and leisure in the United Kingdom, Robert Braithwaite (later to be named Ernst & Young’s UK Entrepreneur of the Year in 2002) grabbed the opportunity to acquire Owens Cruisers’ boat molds and thus, began his journey as a boat builder. The first craft to launch was the Sovereign 17 followed by the Sovereign 20 in 1971. A major turn-point came about when the Formula One driver, Henry Taylor,required a full-width sunbed accommodated to his boat; hence, the design and launching of the sports cruiser Sports 23 and Daycab23. 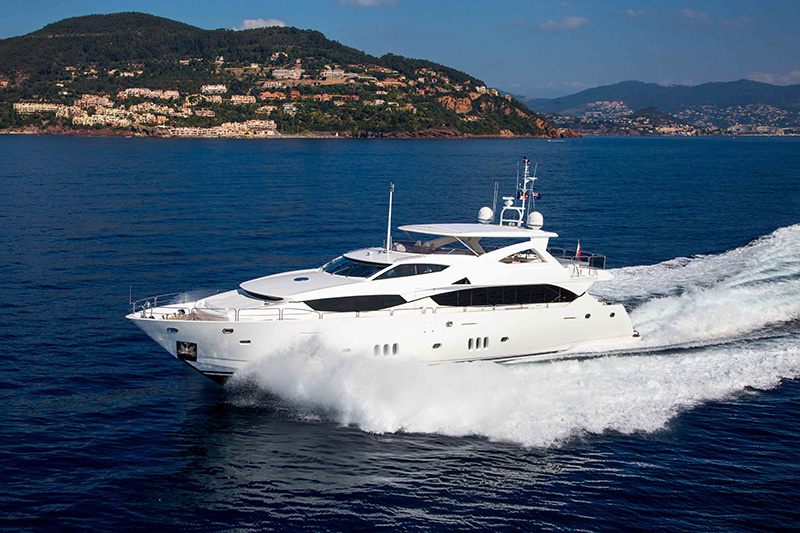 Sunseeker’s first true performance model was the Offshore 28, gaining sales in the Mediterranean market. 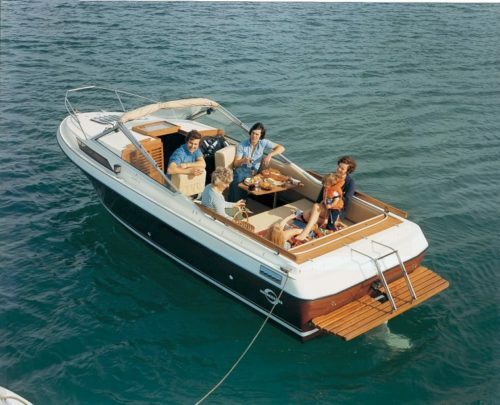 By the mid-eighties, their focus shifted from overnight accommodation boats to larger cockpits, two cabin high-performance boats: the Portofino31 and the Tomahawk 37. In the early 90’s, Sunseeker’s first production boat with twin jet drives was launched, the Renegade 60, followed by the Predator 80. The millennium saw the launch of the 105 yacht, made with advanced composite materials and winning two of the world’s most prestigious accolades in the International Superyacht Design awards. 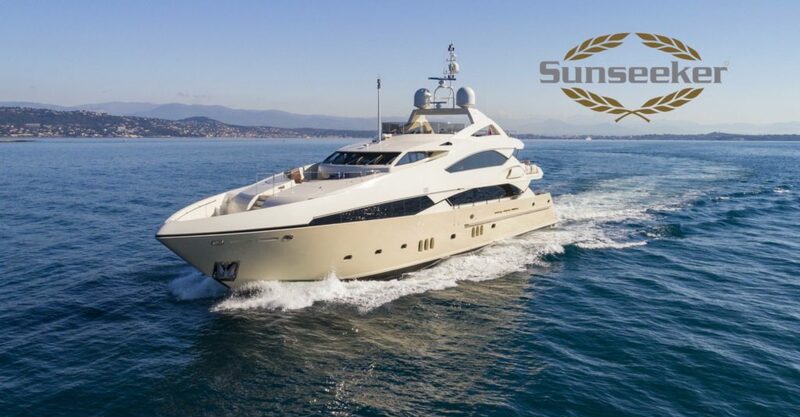 In 2015, the delivery of Sunseeker’s 100th luxury performance motoryacht in the 100ft+ category was accomplished with Sunseeker’s flagship 155Yacht. 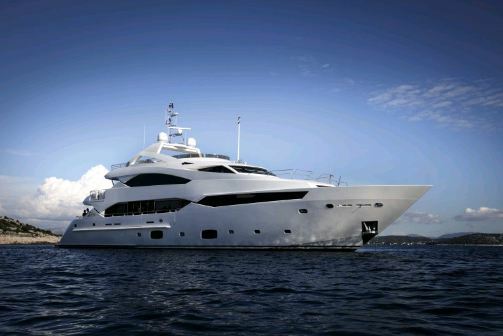 Motor yacht MOLIVER has been maintained at the highest level by her owner and experienced crew. Not only is her interior impeccable, but this spacious 37m Sunseeker Yacht boasts very large volume for a boat of her size. Her hull was recently repainted and top deck teak upgraded in Spring 2018. 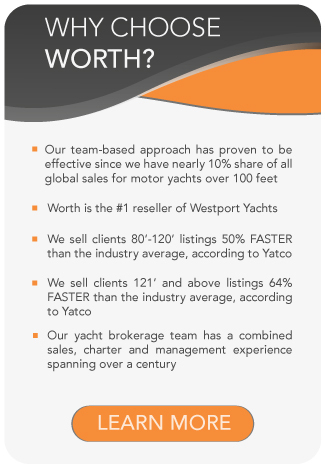 MOLIVER has always been an extremely successful tri-deck yacht for private and commercial use. Motor yacht FRIVOLOUS is one of the most well known Sunseeker 34m Yachts. A hugely successful model both for private use and charter. Her ample accommodation sleeps 10 people in 5 staterooms allowing the owner and guests to enjoy the well designed main salon and dining area. The master suite is located in the bow with views looking forward offering a sizeable master bathroom with shower, separate bathtub and WC. The aft cockpit offers an al fresco dining area with easy access to the flybridge and foredecks. The flybridge itself is spacious with a raised jacuzzi and sun pad. Going forward there is another dining table able to accommodate10 guests which is adjacent to the cocktail bar. 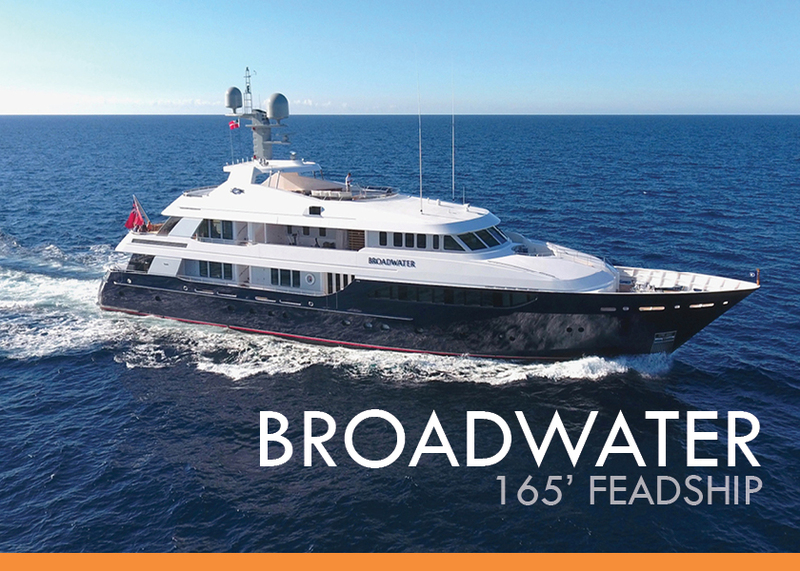 FRIVOLOUS is an impressive vessel and beautifully maintained by her Captain and fastidious owner. ANNABEL is a stunning 2010 Sunseeker 88 Yacht, offered seriously for sale. Used only for private use since new, this 88 Yacht is in pristine condition. Fitted with twin 1947HP MTU 12V 2000 M94 engines, ‘Annabel’ reaches a top speed of 27 knots. This striking Sunseeker 88 Yacht has a Bourneville brown hull and RAL white superstructure, both of which have been recently fully repainted by the manufacturers, Sunseeker International Limited. The interior of ANNABEL has been completed using black American walnut in a satin finish, which is complemented by the cream and oyster leather soft furnishings. The luxurious accommodation on ANNABEL consists of four en-suite staterooms with berths for eight guests. The extensive exterior areas of the flybridge, aft deck and foredeck provide guests onboard with al fresco entertaining and dining spaces. 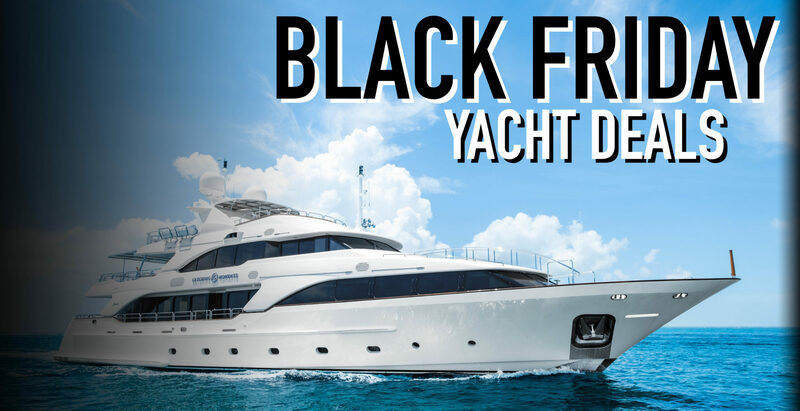 Worth Avenue Yachts is a world-class yacht brokerage firm founded by industry-leading professionals specializing in luxury yachts for sale, yacht charter and new yacht construction.